What Happens When a Tenant Leaves Personal Property Behind? Home/Blog/General/What Happens When a Tenant Leaves Personal Property Behind? Although most tenants take their furniture, clothes, and other possessions with them when they leave, on rare occasions a renter leaves personal property behind. Some landlords have even entered an apartment to discover an entire unit filled with abandoned property after a tenant has left. Depending on the condition of the property, the landlord might be tempted to either sell it (to recoup unpaid rent) or toss it in a dumpster. Because California law imposes strict requirements on the handling of abandoned tenant property, however, it is important for landlords to protect themselves from potential liability by following the law in these cases. A 2013 change in the law also permits landlords to send the Notice of Right to Reclaim Abandoned Property via email. Once the Notice is served and the 15 (or 18) days has expired without the tenant stepping forward to claim his or her property, the landlord is then faced with the dilemma of what to do with the tenant’s things. If the property is worth less than $700, the landlord can keep it or dispose of it in any method he wishes. Prior to January 1, 2013, the value was set at $300. The landlord must arrange to sell any property valued at $700 or greater at public auction and publish notice of the auction in a newspaper in the county where the auction will take place. Kirkman J. Hoffman has more than 20 years’ experience representing commercial and residential landlords and property managers in Silicon Valley and the surrounding regions. 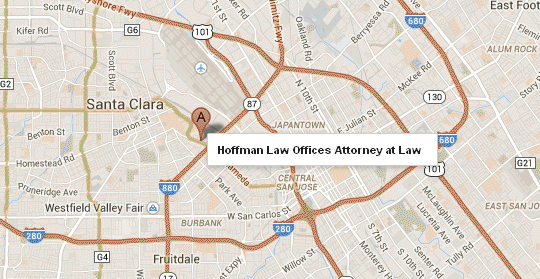 To discuss your eviction matter, contact the team at Hoffman Law Group today at (408) 241-9620.